4. It will open a “New Connection Wizard”. 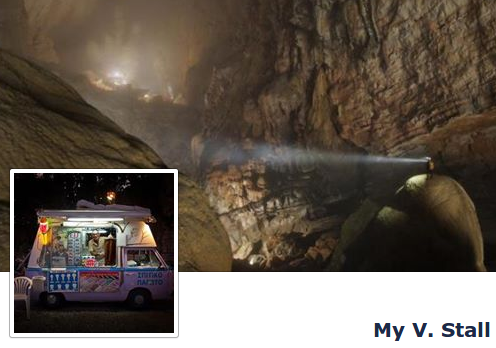 Now click “Next” button. 5. Select “Connection to the Internet” and click “Next” button. 6. Select “Set up my connection manually” and click “Next” button. 7. 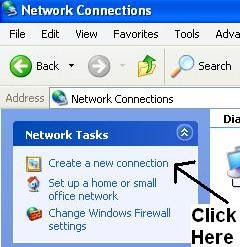 Select “Connection using a dial-up modem” and click “Next” button. 8. Now type “ISP Name” as Citycell Zoom and click “Next” button. 9. Type “Phone number” as #777 and click “Next” button. 10. 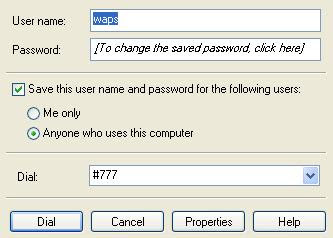 Type “User name”, “Password” and “Confirm password” as waps and click “Next” button. 11. Tick mark “Add a shortcut to this connection to my desktop” and click “Next” button. 13. Double click on the Icon and it will open a dialog box as below. 14. Just click “Dial” button to connect with internet. If you face any problem to connect then click on “Properties” button to check whether modem selection is ok?